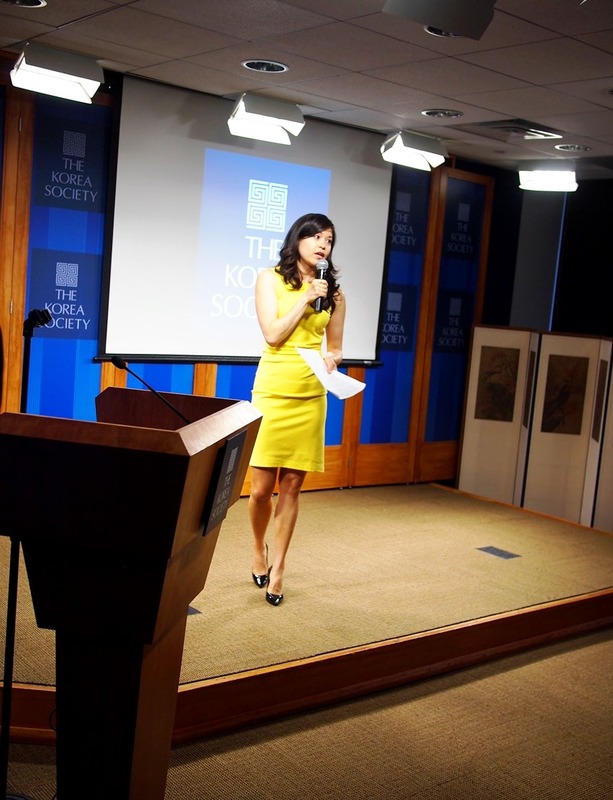 The theme of the Asian American Film Lab (“Film Lab”)’s Tenth Annual 72 Hour Film Shootout (“Shootout”) was announced at the June 6, 2014, Launch Party held at The Korea Society. The Shootout is a worldwide filmmaking competition celebrating gender and ethnic diversity in film in which filmmaking teams are given a common theme at the start and have 72 hours to write, shoot, edit, and complete short films up to five minutes in length. 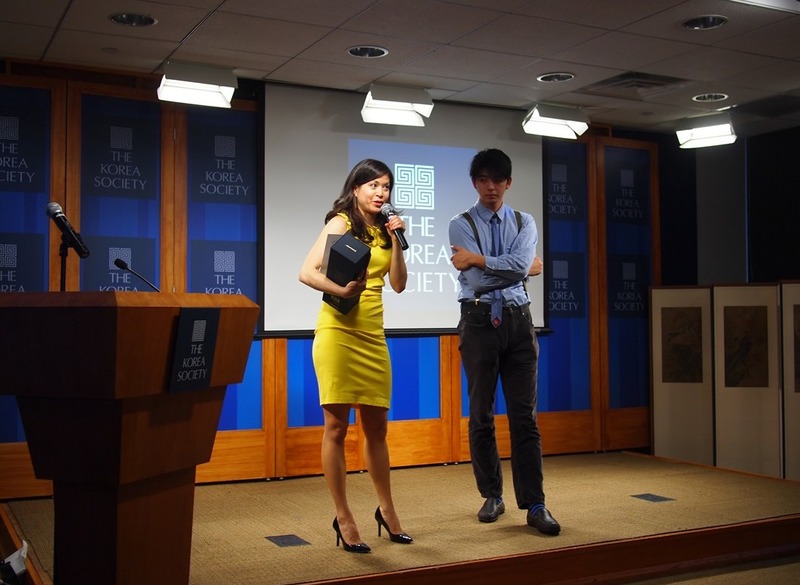 Film Lab Board Member Edwin Wong, accompanied by Film Lab President Jennifer Betit Yen and Shootout Coordinator Justin C. Lee, announced the theme promptly at 8pm EST, starting the clock ticking on the 72 hours within which filmmakers had to complete their films. Wong took the stage at just minutes to 8:00. He ripped open the announcement envelope and read, “The theme of this year’s Shootout is THE COLOR OF MY HAIR.” Filmmakers immediately began to write their scripts and brainstorm ideas for their Shootout films. 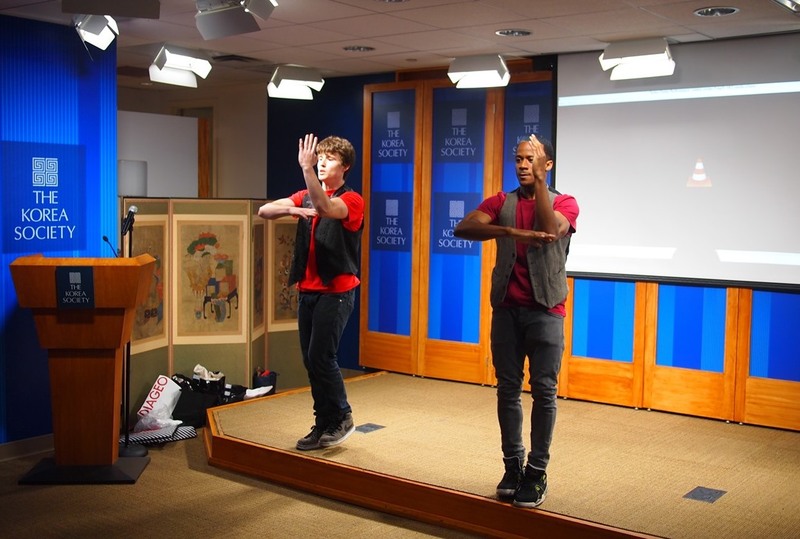 The Launch Party, sponsored by Diageo, The Korea Society, MyJennyBook, Tiger Beer, Baked by Melissa, Alexander Ong, East Midtown Partnership, and more, began with a dance performance by Silas Miller and Lamar Williams and was followed by a musical performance. Tiger Beer provided an open beer bar for attendees and there were plenty of tasty treats provided by Luna and Baked by Melissa. Engraved Johnnie Walker Blues, commemorating the Shootout’s Tenth Anniversary, were silent auctioned off courtesy of Diageo, as was a two night stay at Caesar’s Palace in Las Vegas. Sponsors also provided a series of raffle prizes for attendees, which were greatly enjoyed. Both the Film Lab President and Shootout Coordinator took the stage and their remarks will soon be available on the Film Lab’s online AAFL TV channel. Subscription is free at youtube.com/asamfilmlab. Coordinator Justin Lee screened the Shootout promo film, “I’m Not Colorblind,” featuring Film Lab Board members, management, staff, and members. He also outlines the rules and history of the Shootout. President Jennifer Betit Yen also took the stage. She began by asking attendees to take a moment of silence in honor of the fact the day was also the 70th anniversary of D-Day and reminding party goers that “[t]ens of thousands of Asian Americans who served the US Military in WWII and of the fact that Asian Americans have been serving in the US Armed Forces since the War of 1812.” Betit Yen then talked about the issue of “colorblind” writing, casting and producing in mainstream media. 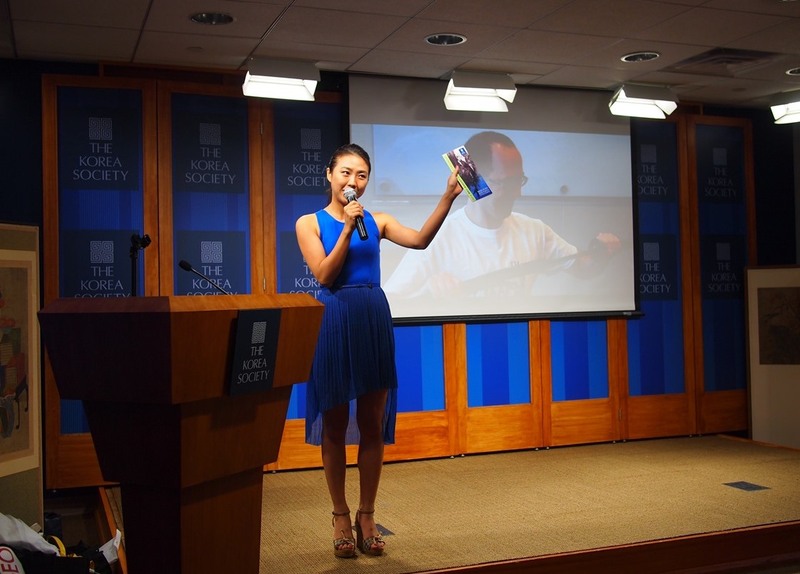 “One of the reasons that I and the Film Lab advocate film and television celebrating, through diverse casts and crews, the diversity of the US is because perception becomes reality,” Betit Yen stated. “One of the reasons that I and the Film Lab advocate film and television celebrating, through diverse casts and crews, the diversity of the US is because perception becomes reality. Perception is important. 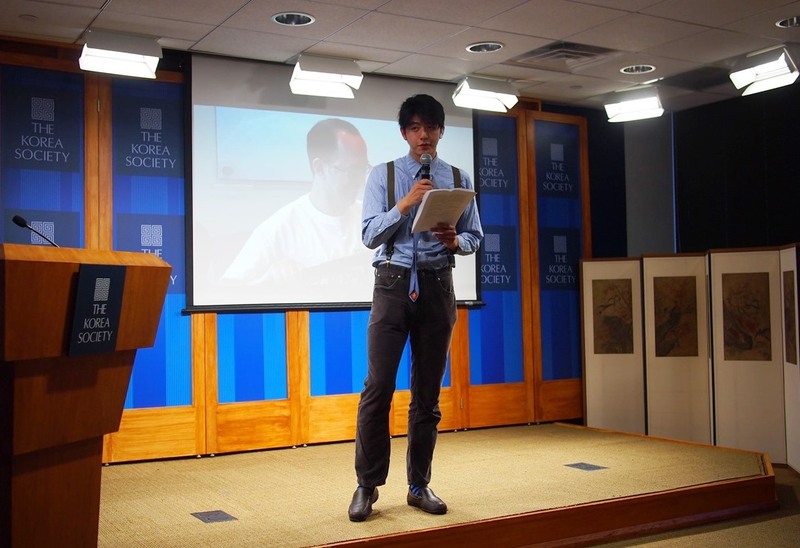 When mainstream media portrays Asian American men as only asexual wimps and Asian American women only as Geisha girls or dragon ladies; African American men as thugs and criminals, Latina women as loud, promiscuous and unable to control their emotions; Middle Easterners as terrorists, it creates a widespread perception that, at some level, those characterizations are actually true, are actually real. That makes it that much more important for people like you and me to create positive perceptions of diversity and people of color for the mainstream; in doing so, we reinforce a perception that color is good; that it’s American.” Several people afterwards requested a written copy of the speech, which is now available on Betit Yen’s blog at www.jen-yen.com. Both Lee and Betit Yen’s speeches will also be available on the AAFL TV online channel. 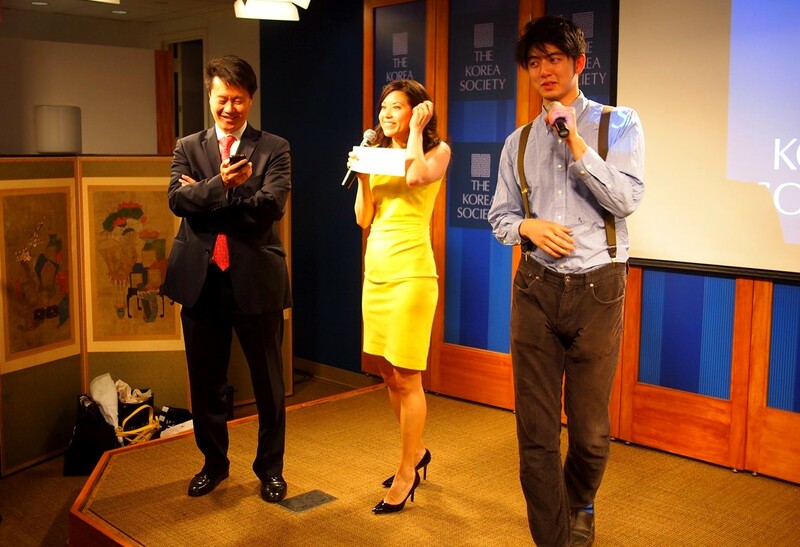 Judges, among them Marci Phillips, David Henry Hwang, and Teddy Zee, will select the top ten films, which will enjoy their world premiere at The Asian American International Film Festival on July 27, 2014, in New York City. They will then screen at the Asians on Film Festival in Los Angeles. For more, please visit http://www.asianamericanfilmlab.com.